Friendly host. Comfort beds. Good location - near bus stop and supermarkets. You have to go to the beach approximately 10 minutes. Sofia is a great host and the location is fantastic! The kitchen was well equipped. Perfect location for the beech (5/10min walk) and shops (less than 5mins) everything you needed for a self catering stay. Off road parking and WiFi always a bonus ! The apartments are in a great location a short walk away from the sea, the supermarket and the bus stop. The room had a well equipped kitchenette, nice view from the balcony. The hostess Sofia also seemed very nice. Overall, we would definitely stay here again. 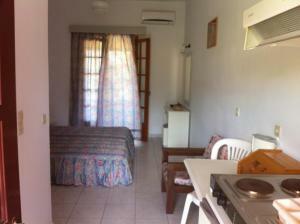 Very nice accommodation in a quite street near the beach and promenade. the views were great, location could not have been better we loved our stay at villa Sofia we hope to return for another stay . 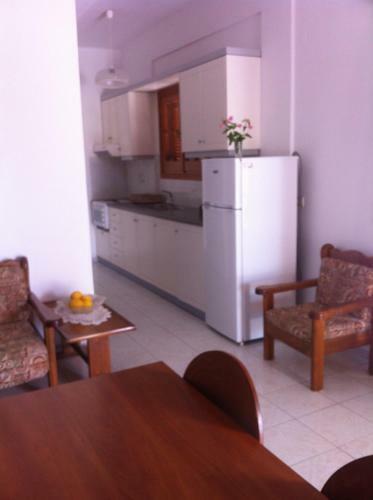 Close to main street - shops, tavernas etc., at the same time not far from beach. All the necessary for comfortable staying is included. The room was extra tidy, and cleaned every 2 days. It is really close to the beach, like 10 min walk. Also, it's really close to supermarket and other shops. It was clean and tidy. 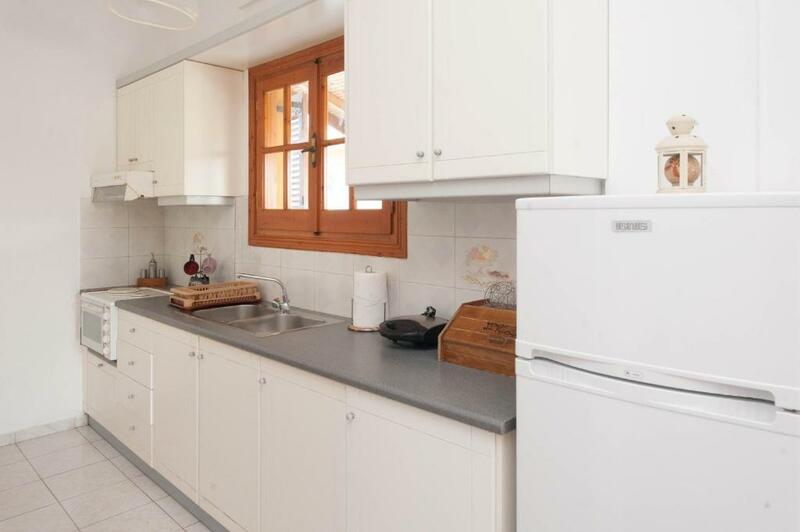 It has a small kitchen in the room which can come in handy for breakfast and coffee. Lock in a great price for Villa Sofia - rated 8.5 by recent guests. One of our bestsellers in Acharavi! 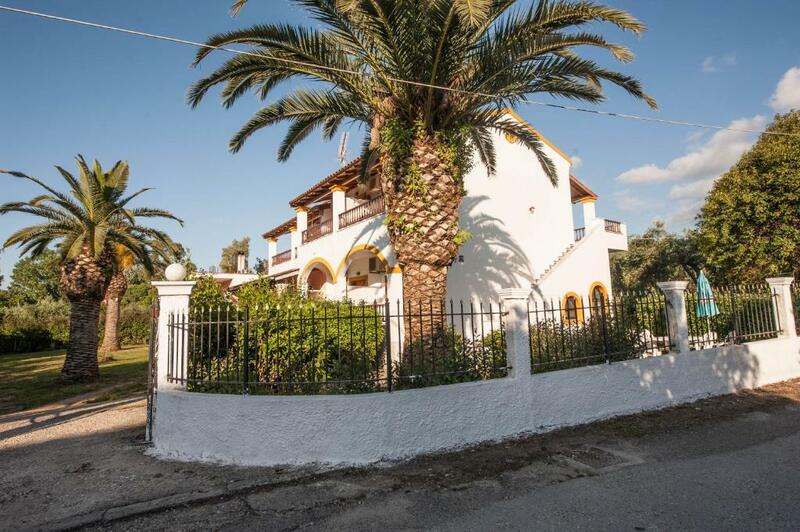 Situated 100 yards away from the beach of Acharavi, Villa Sofia offers self-catering accommodation with views of the Ionian Sea or the mountain of Pantokratoras. Private on-site parking is provided free of charge. The seaside village of Sidari is 7.5 miles away, while the scenic village of Paliokastritsa is at 15.5 miles. Corfu Airport is approximately an hour’s drive away. 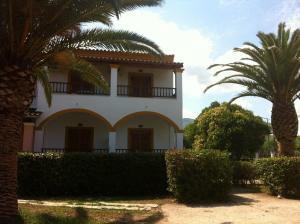 Villa Sofia has been welcoming Booking.com guests since 13 Jul 2012. 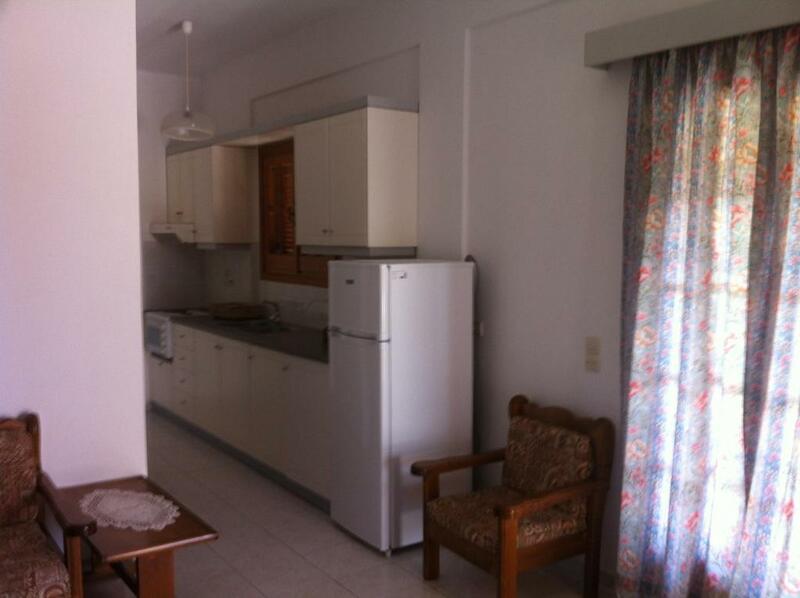 Air-conditioned studio with well-equipped kitchenette and a private balcony offering views of the Ionian Sea or the mountain of Pantokratoras. 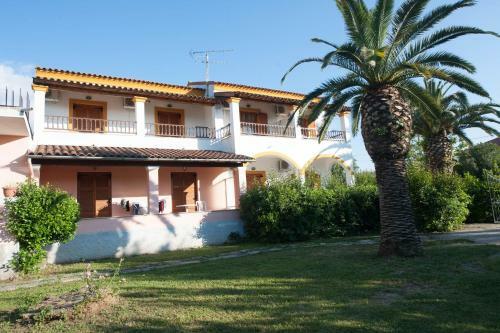 Air-conditioned apartment with well-equipped kitchenette and a private balcony offering views of the Ionian Sea or the mountain of Pantokratoras. House rules Villa Sofia takes special requests - add in the next step! Please inform Villa Sofia in advance of your expected arrival time. You can use the Special Requests box when booking, or contact the property directly with the contact details provided in your confirmation. There is no mosquitoes net. Palm trees didn't look like on host photo - all of them was dried. - unstable Wi-fi signal - toilet didn't flush properly, because of weak water stream - mosquitos. It would be nice to install mosquito nets on the inner side of wooden louvers, so guests could sleep with open windows without aircon. Most things were very clean however, there were a lot of drain flies in our room which made it feel dirty and the shower had a leak which flooded the doorway when used. The WiFi was also noticeably poor. Wonderful location.Good for the price. Shower and toilet areas were very small, my husband could barely fit. Also, there was no frying pan but we made due with the small oven. Some larger pillows would be nice since the ones provided were very thin even if we stacked two of them. 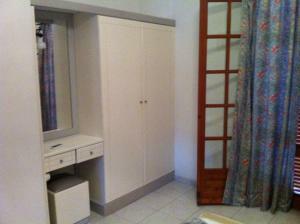 Location, private garden ...and two balconies! Pool :-) as in the apartments apart. Not easy to reach the location by public transport from Kerkira on Sunday (only A3 bus goes twice per day). 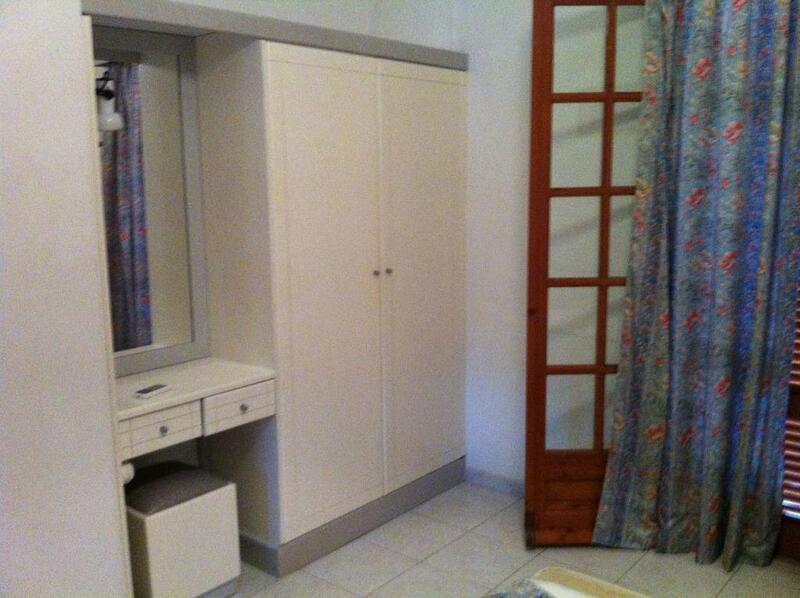 The only thing I did not like was that room was cleaned once in a week and clean towels were changed once in a week. The location is great. The host was nice and helpful. The room was clean and nice, the bathroom was a bit small. Overall great value for the price. The double beds were actually 2 single beds put together, with a huge gap in the middle.